The name of Hafiz, is well known to everyone interested in the poetry of Persia, because, among the Persian poets, Hafiz stands unique in his expression, in his depth of thought, in the excellence of his symbolical expression of certain thoughts and philosophy. There was a time when a deep thinker and a free thinker had great difficulty in expressing his thoughts, and that time has not altogether ceased, but, at the same time, in some ways there seems to be much more freedom of expression in this age than in ancient times. At that time, anyone who expressed his thought freely about life and its hidden law, about soul, God, creation and manifestation, met with great difficulty. The difficulty was that the religious authorities of all kinds governed, and under the religious reign, the principles of the exoteric religion reigned, and therefore those who attained by the esoteric side of philosophy always had difficulty in telling it to the people. Many were persecuted; they were stoned, they were flayed, they were put to death. All sorts of punishment were inflicted upon them, and in this way the progress of humanity was retarded. Today we do not see this. At the same time, the limited attitude of the human mind on religious and philosophical questions is to be found in all ages. The Sufis, who found by the help of meditation the source of knowledge in their own hearts, for them it was very difficult to give to the world in plain words what little they could explain of the Truth. It is true that the Truth cannot be spoken in words, but at the same time, those gifted with poetic and prophetic expression have always had that inclination and tendency of expressing what their souls experienced. Hafiz found a way of expression the experiences of his soul and his philosophy in verse. For the soul enjoys expressing itself in verse. Because the soul itself is music, and when it is experiencing the realization of divine Truth the tendency of the soul is to express itself in poetry. Hafiz therefore expressed his soul in poetry. And what poetry! Poetry full of light and shade, line and color, and poetry full of feeling. No poetry in the world can be compared to that of Hafiz in its delicacy. Therefore only the fine soul who has the finest perception of light and shade expressed in words, can grasp the meaning of the illumination of the soul. At the same time, the words of Hafiz have won every heart that listens. Even if they do not wholly understand it, the phrase, rhythm, charm, and beauty of expression wins them. It is the same style that Solomon adopted, but it was spoken in the language of the time. Hafiz spoke in the language which was most appropriate and most suitable to poetry. The Persian language is considered in the East the most delicious language, a language which stands supreme among all Eastern languages in poetry. It is soft, and its expression is tender. It is expressive. Every object has perhaps ten names for the poet to choose from, every little thought can be expressed in perhaps ten names for poet to choose, from, every little thought can be expressed in perhaps twenty different ways; and the poet has that freedom of choice. And therefore the Persian language and Persian poetry both are rich in expression. The mission of Hafiz was to express to a fanatically-inclined, religious world, the presence of God, which is not be found only in Heaven, but to be found here on earth. Very often religious belief in God and in the hereafter has kept man sleeping, waiting for that hour and that day to come when he will be face to face with his Lord, and he is certain that that day will not come before he is dead. And therefore he awaits his death, in the hope that in the hereafter he will see God, for Heaven alone is the place where God is to be found, there is no other place where God will be found. And he thinks that there is only a certain place which is a sacred place of worship, that is, the church, and that anywhere else God is not to be found. The mission of Hafiz was to take away this idea, and to make man conscious of the Heaven by his side, and to tell man that all he expects in the hereafter as a reward could be had here if he lived a fuller life. The same ideal which one sees in all religions, which Jesus Christ taught, saying, 'God is love,' that was the main idea of Hafiz, the idea, that has expressed from morning to night in the Diwan. If there is anything divine in man, it is love. If God is to be found anywhere, it is in man's heart, which is love. And if the love element is awakened in the heart then God is made alive, so to speak, and is born in one's self. But at the same time Hafiz has shown in his poetry the key to this, and that key is appreciation of beauty in all forms. Beauty is not always in an object or in a person; beauty depends upon one's attitude towards life, – how one looks at it – and its effect depends upon our power of appreciation. The very same music or poetry or painting will touch one person so there is another person who looks at it, but he does not see it. The whole manifestation has its beauty. Sometimes the beauty is manifest to you, sometimes you have to look for it. There comes a good person; we are always charmed by the beauty of goodness. There comes another person who looks bad, but at the same time good is somewhere hidden in him, if we would look for it, if we have the desire to draw it out. The look of bad is not always in objects and persons, but in our looking. The whole trend of the poetry of Hafiz is to awaken that appreciation of beauty and love of beauty which is the only condition through which to experience that bliss for which our life is purposed. Some one asked a Sufi the reason for this whole creation, and he answered, 'God, Whose being is love itself had desired to experience the nature of His own being, and in order to experience it He had to manifest Himself.' 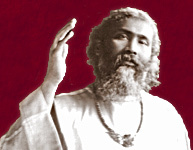 God Himself, and His manifestation, the soul and God – this dual aspect can be seen in all forms of nature, in the sun and the moon, in night and day, in male and female, in positive and negative, and in all things of opposite characters, in order that this love principle, itself the original and the only principle at the back of the whole manifestation, may have the scope of its full play. And therefore the fulfillment of the purpose of life is in the full expression of the love principle. Very often people, by learning philosophy and by looking at this world with a pessimistic thought, have renounced the world, and have called it material and false; and have left this world and have gone to the forest or desert or cave, and have taught the principle of self-denial and self-abnegation and renunciation. That was not the way of Hafiz, He said it is like journeying over the sea and coming to a new port, and before landing one becomes frightened, saying, 'But I shall perhaps be attacked by the people, or the place will attract me so much that I will not be able to go back where I have come from.' But he does not know why he has taken that journey, He has not taken the journey to go back without landing. The attitude of Hafiz is to land there – risk it. If it is an attractive place, he is ready to be won. If it will crush him, he is ready to be crushed. This is a daring attitude. Not running away from this false world, but in this false world to discover glimpses of the true, and in this maze to find God's purpose.